8 Top 5 Finishes at Local Comps! Thursday, November 7th, 2013 - Categories: Climbing, Competitions, Team. We are super psyched, and proud, to recognize all of the EW team kids who have been absolutely crushing it this comp season. At our own Blacklight Comp, 7 kids placed in the top 5 in their category with two 1st place finishes. The weekend before, at Northwest Boulderfest, 3 kids placed in the top 4 – again with a 1st place finish. And, just this past weekend at the South Sound Pull Down, another 1st place finish was achieved. 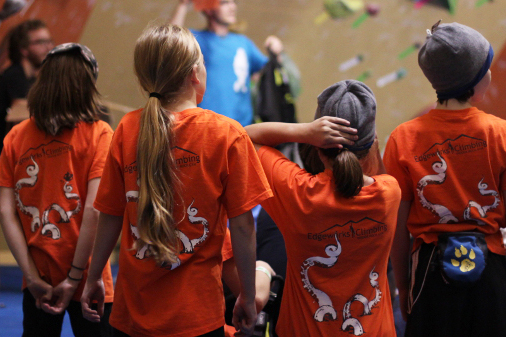 Congratulations to all the kids who are climbing and competing!